Running in Gibraltar. 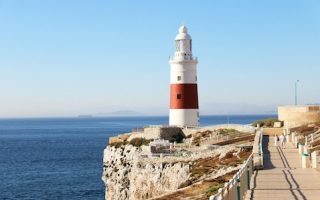 Best routes and places to run in Gibraltar. Gibraltar is a British overseas territory located on the southern Spanish coast. The main attraction is the 425-meter Rock of Gibraltar, at the foot of which is a densely populated town of 30,000 people. 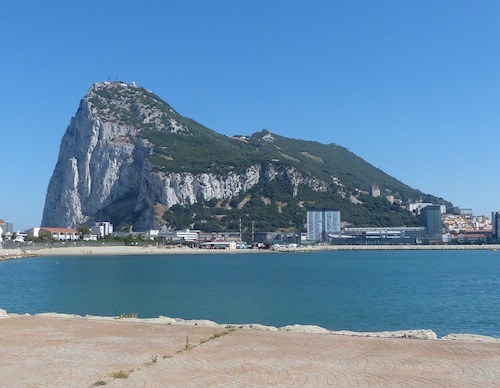 Since this area is visited by some 12 million people annually, and features a fascinating landscape and spectacular geography, we figured a guide to running in Gibraltar was in order. 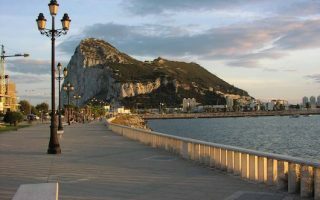 Know that Gibraltar itself is only 6 km long and 1.5 km wide, although there is some nice coastal running on the coast just north of the border with Spain. Second, one has to be familiar with the geography, since there are tunnels along the main perimeter road that aren’t accessible by pedestrian. This map showing cycle roads is helpful, as is this Upper Rock map. 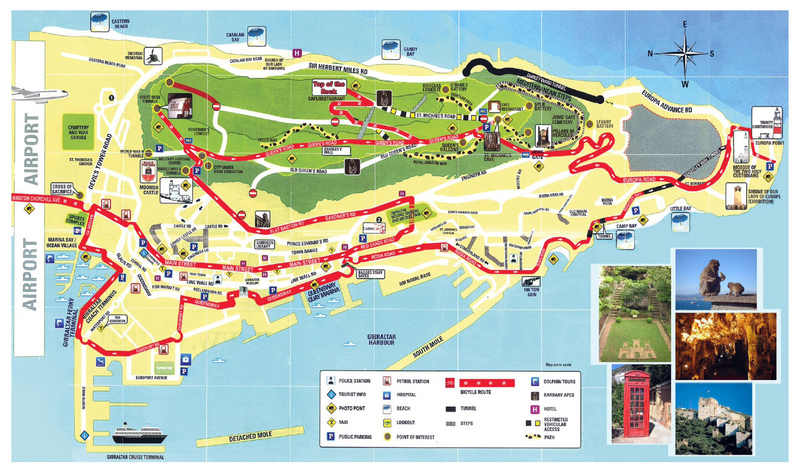 Our guide is divided into three sections: the nicer sections of coastal road on the east and west sides, and some recommendations for in town; the scenic roads and footpaths of the Upper Rock’s Nature Reserve, which in our view is the best place to run in Gibraltar (be prepared for some hills! ); and just over the border in La Línea de la Concepción, where there are scenic coastal paths on both sides. There is some very scenic shoreline running in Gibraltar, but it's in distinct sections, owing to the geography and several tunnels. We've outlined the best sections on both the eastern and western sides. 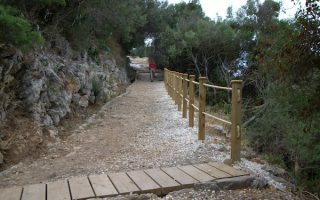 The Nature Preserve of the Upper Rock offers scenic and challenging running. The best road is the 3 km Queen's Road. For footpaths, Inglis Way traverses the middle section. The Mediterranean Steps are a unique challenge. Just across the border in the Spanish town of La Línea de la Concepción, there's lovely running along seaside paths. On the east side, run on the beach or the path for up to 3.3 km. The west side path is 3.7 km one-way. Gibraltar has a typical southern Mediterranean climate, moderated a bit by the ocean waters. Summers are warm and dry, while winters are mild and wetter. In the height of summer, temperatures are in rhe 28C (mid-80s) range, with warm but not sultry nights. Average winter highs are around 17C (low-mid 60s), with cool nights — bring a layer! It can be rainy in winter. The main town of Gibraltar has quite a bit of shopping. Footstop is the store in town where you can find running gear. Ciclos Collado Running and Oteros Training Store.